Watch The Maze Runner or buy The Maze Runner Trilogy cheaply from Amazon. You too can earn money from writing articles by signing up for InfoBarrel. 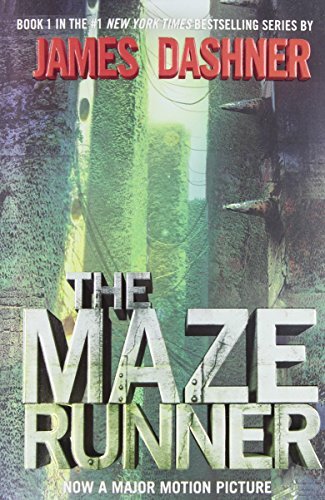 The Maze Runner is based on James Dashner's book of the same name. At the beginning of the film, Thomas (Dylan O'Brien, The Internship) - although at this point he cannot even remember his name - comes around in a rusty lift, slightly damp and surrounded by supplies. The lift exits into daylight at ground level, having risen from the depths of something, and he is surrounded by, mostly teenage and slightly older, but also some younger, boys. There are no females at all of any age. Thomas not only cannot remember his own name, he cannot remember what went before. This is, apparently, typical - none of the boys are able to recall anything other than their names. The Glade is separated into groups with different responsibilities determined by the boys' skills. During the day, one group, the Runners, explores the Maze looking for an exit. The society has been functioning for several years. Every month, the lift that Thomas arrived in, called the Box, returns with new supplies and a new recruit for the Glade. 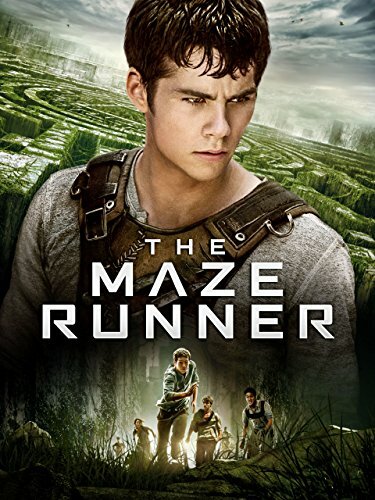 Credit: http://en.wikipedia.org/wiki/The_Maze_Runner_%28film%29#mediaviewer/File:The_Maze_Runner_poster.jpgAlby tells Thomas that he is different from the others, and after his arrival things start to change. Thomas, Alby and the leader of the Runners, Minho (Ki Hong Lee) manage to survive a night in the Maze; the first to do so. The Box returns after a few days, not a month and, for the first time, there is a girl, Teresa (Kaya Scodelario), in it - and she seems to recognise Thomas. Then, one night, instead of the entrance to the Maze closing, it remains open and Grievers get into the Glade itself. Thomas is determined to try and find a way out. In this, he is rather more determined than the others. There is a strange clue, that marks their supplies and which Thomas has been hearing in his dreams - W.C.K.D. The dreams also mark Thomas apart, for it appears that none of the others have them, and he seems to recalling events before the Glade. Thomas's main source of opposition is from Gally (Will Poulter, Plastic, We're the Millers), who took an instant dislike to him. Gally's objection to Thomas seems to be based more on fear of change than anything else. The Glade's society is stable, and Gally wants it to remain that way. There have been a lot of young adult books converted into films, or television programmes, recently. Some of these have worked better than others. The main problem with some of them has been the appeal outside of the young adult market. In some films, the story has been too juvenile to appeal to adults and too adult to appeal to children, resulting in a rather limited market and no mass appeal. So, how did this one turn out? The Maze Runner is one of the better ones, as it should appeal to adults as well as young adults, because it lacks the immaturity shown in others. As isn't uncommon in films featuring a supposedly teenage cast, many of the actors are rather older than the people they are portraying. This may or may not have made a difference; the main difference could have been with the story itself. Said story is quite obviously incomplete at the end of the film, and there is a sequel planned for release. Overall, The Maze Runner isn't a bad film, which should appeal to a range of people, and is one of the better young adult adaptations around.